Many hands, still hard work — but they’re having fun! Wesley-Luther is tidying up the garden in the ACM’s backyard for winter. They’ll be out there til noon, so drop by and help if you can. 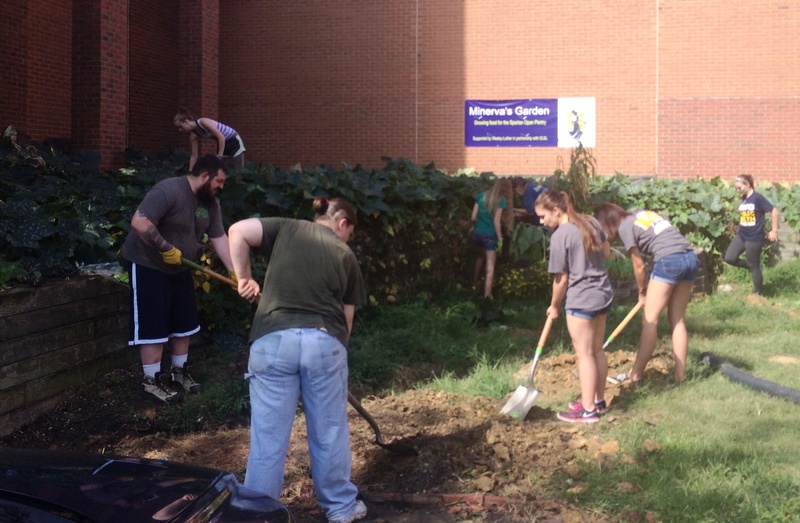 The garden helps supply the Spartan Open Pantry, which feeds hungry students and staff at UNCG.